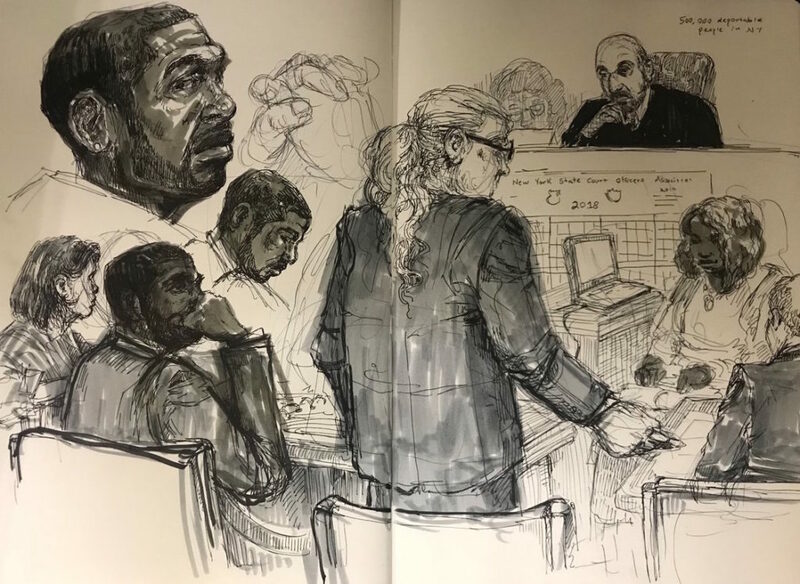 City Council member Jumaane Williams was convicted today and sentenced to time served for obstructing emergency services. Williams was arrested for blocking an ambulance that was deporting New Sanctuary leader and immigrants rights activist Ravi Ragbir. He is running for Lieutenant Govorner alongside Cynthia Nixon, and was one of 17 demonstrators arrested while protesting Ravi’s deportation by ICE. 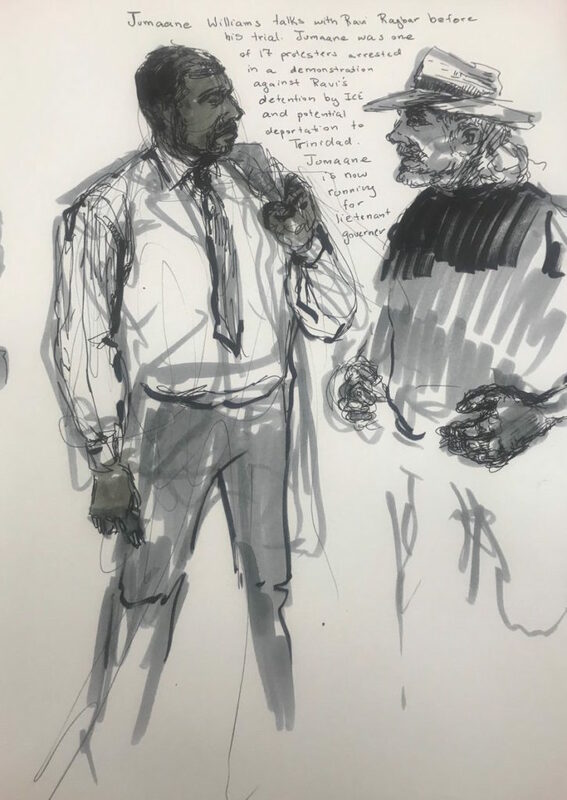 This entry was posted in Uncategorized and tagged art, drawing, ICE, Jumaane Williams, Molly Crabapple, Ravi Ragbir, trial on August 7, 2018 by Ariel.